Every piece has loose ends. The fabric is woven, the threads cut, but all those warp threads have to be fastened off somehow. The purpose often dictates how a piece is finished. Most of what I weave needs a durable finish. I don’t want my handwovens to fray away in the wash. Towels, placemats, napkins, anything that will be washed frequently calls for a folded hem. I can also twist the fringe. 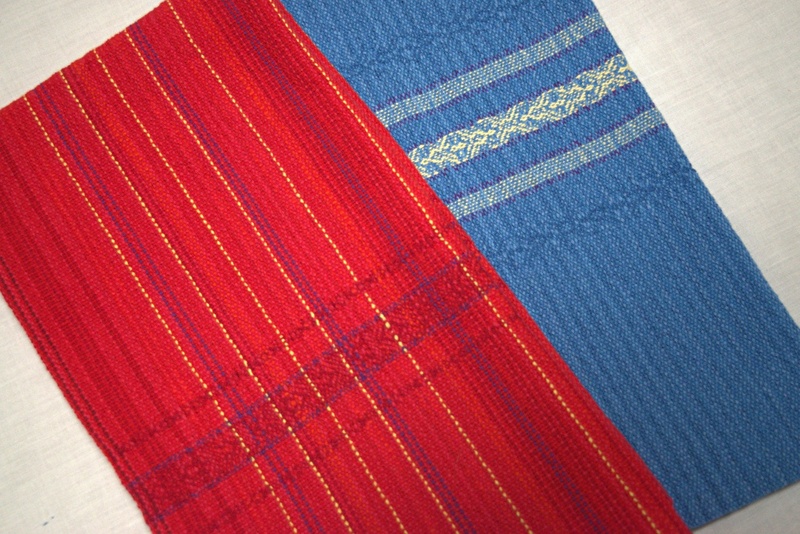 Picture handwoven scarves, shawls,and even blankets, and most often they are finished with fringe. Twisting the fringe controls it. Some yarns have so much life, they just want to tango (or is that “tangle”?) as soon as they are cut from the loom. One of my weaving friends adds beads to give her fringes a little glitz. And then there is hemstitching. 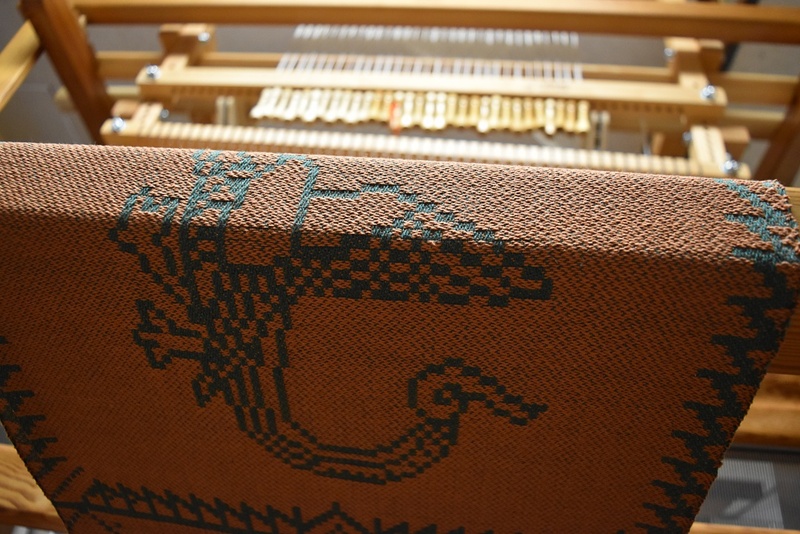 Hemstitching is a decorative finish done on the loom. 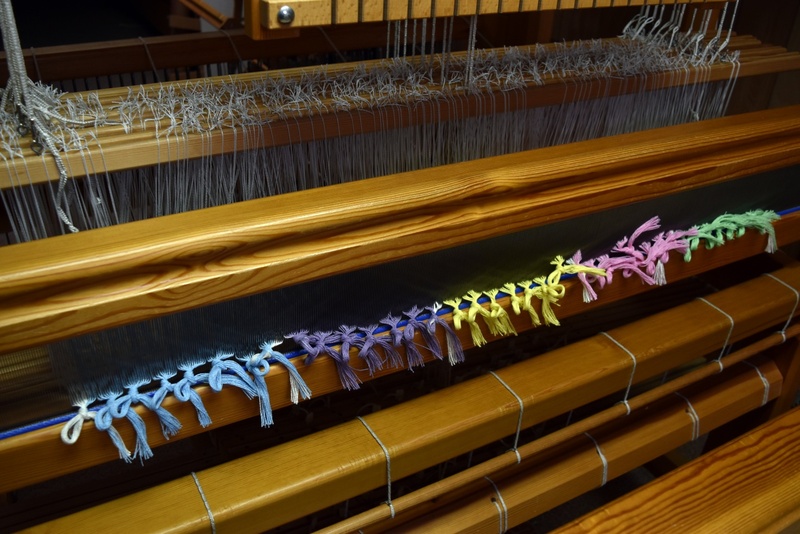 It binds the warps so when you cut the piece off the loom, it is essentially finished with the exception of washing the piece. The ends can be left to form a fringe or worked with twists, loops, or knots. 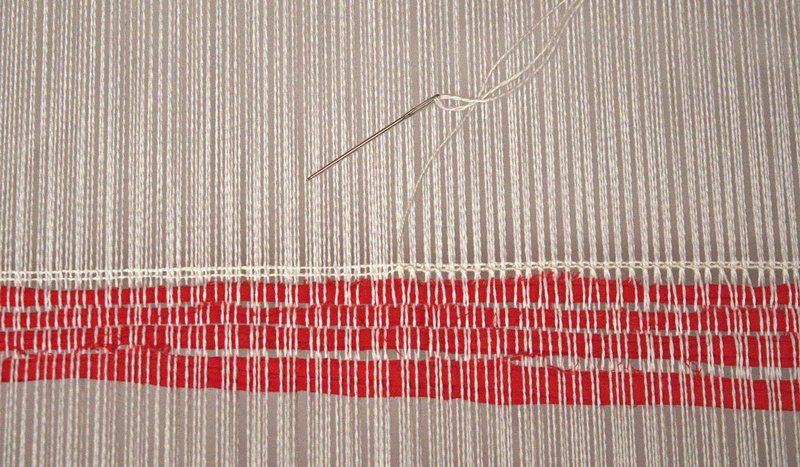 When I choose to hemstitch a piece, I leave enough warp at the beginning and end for a fringe. 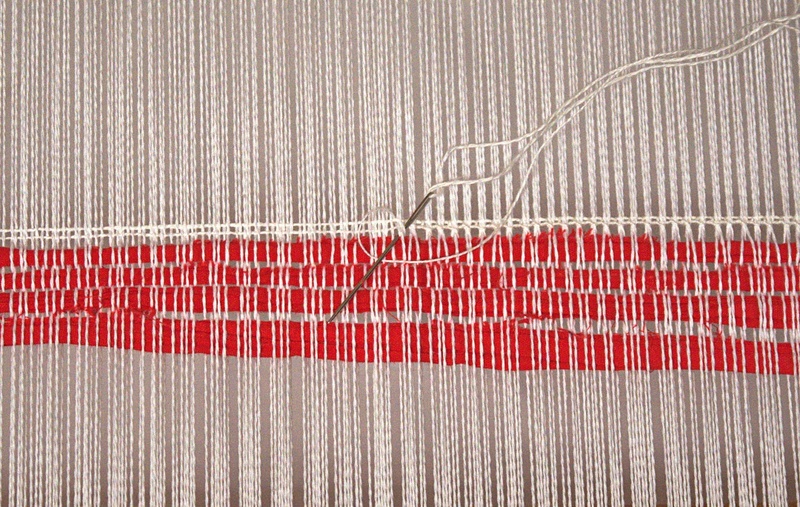 Using weft from the shuttle, I stitch up and over, up and over, across the warp. 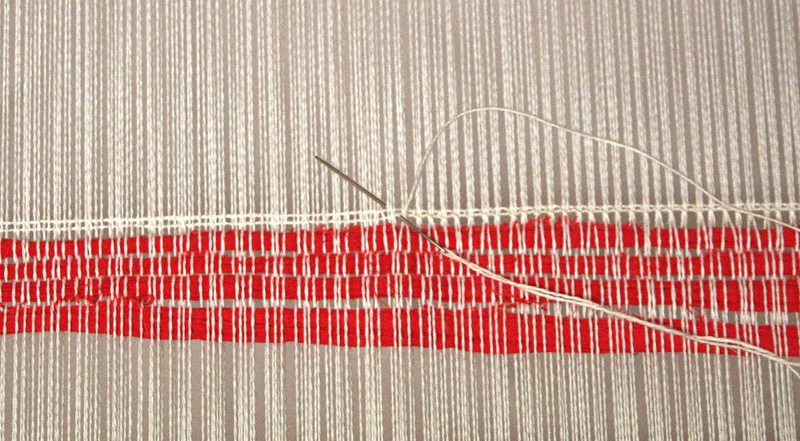 The first part of the stitch catches the warp. The second part is worked around the tail of the first stitch to tie the bundle. 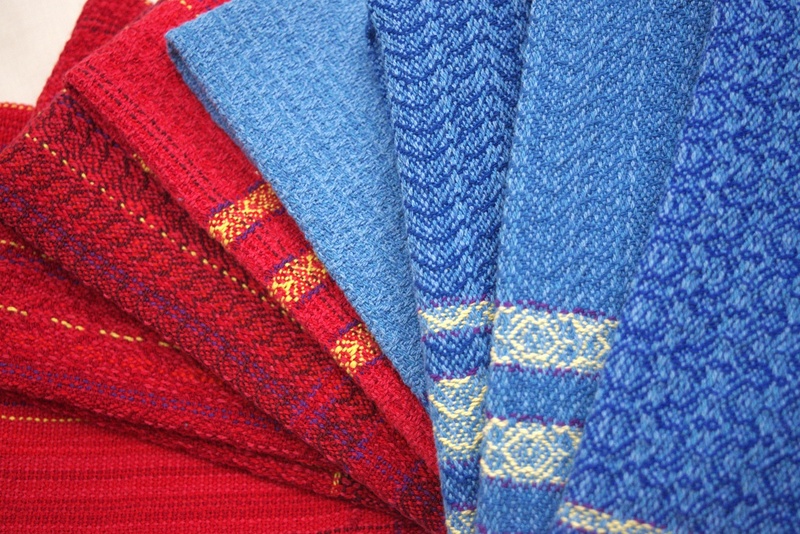 Each stitch binds two, three, four or more warps in a bundle. I use a very simple hemstitch, but there are some wonderfully creative techniques to dress up the hem. 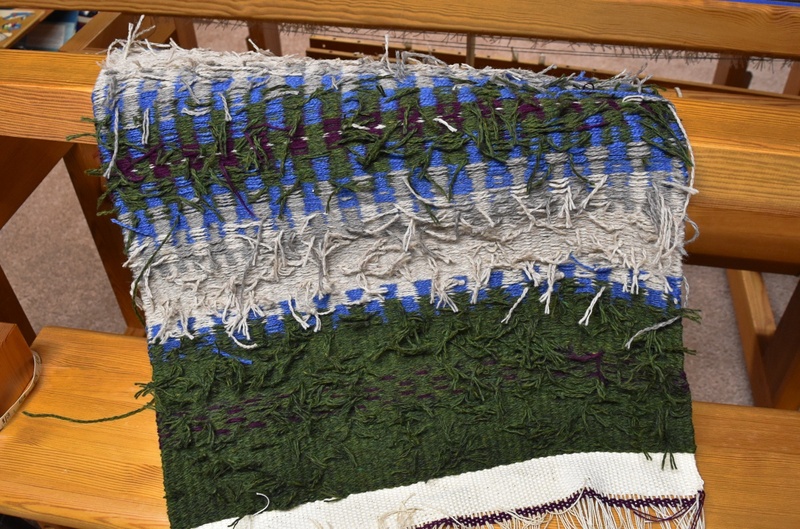 Virginia M. West details many hemstitching variations as well as fringes, knots, and added bands in her book Finishing Touches for the Handweaver (1988: Loveland, CO Interweave Press). I know it’s an older book, but so worth it if you can find a copy. What is your favorite way to tie up loose ends? 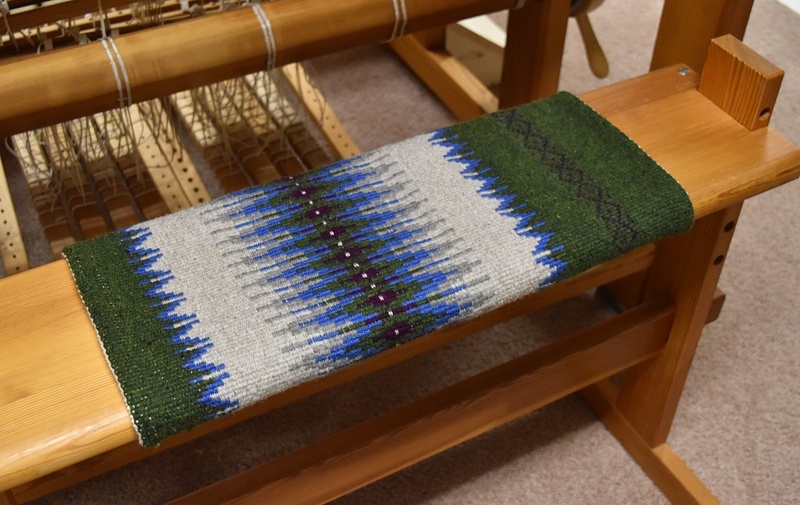 A couple weeks ago, I wrote about my thrums dilemma and eventual inspiration to weave a bench pad in rosepath boundweave. On Friday, I pulled the pad off the loom and yesterday, finished the hemming. The bed covering in the painting “Lallah Rookh” is my source for inspiration. It has, as one of its motifs, an elongated flame shape on a solid ground. Because I had a limited supply of thrums for patterning, I focused on that shape rather than trying to duplicate the entire covering. 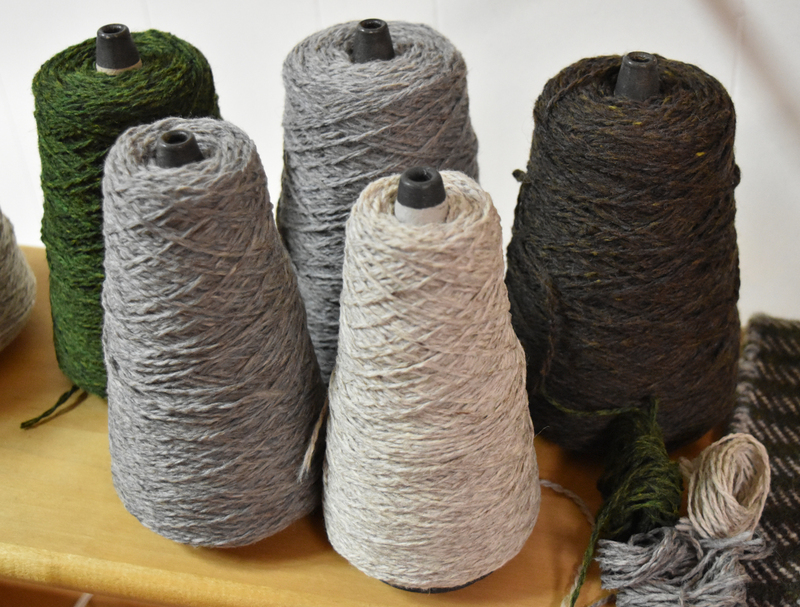 I supplemented the thrums with other wools from my stash for additional colors. From this image, I went to past magazine issues for specifics. I have seen different tie-up methods for boundweave. 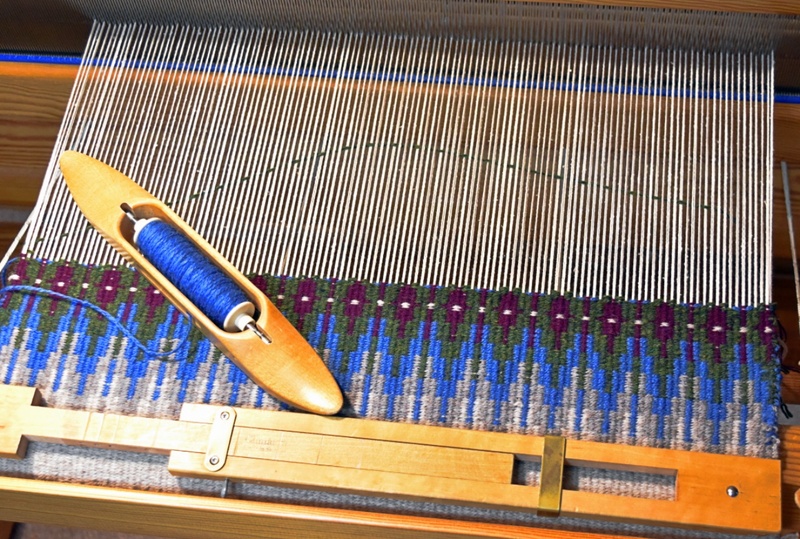 Tom Knisely threads boundweave in the typical rosepath arrangement and treadles the colors in blocks which float two ends up, two down. 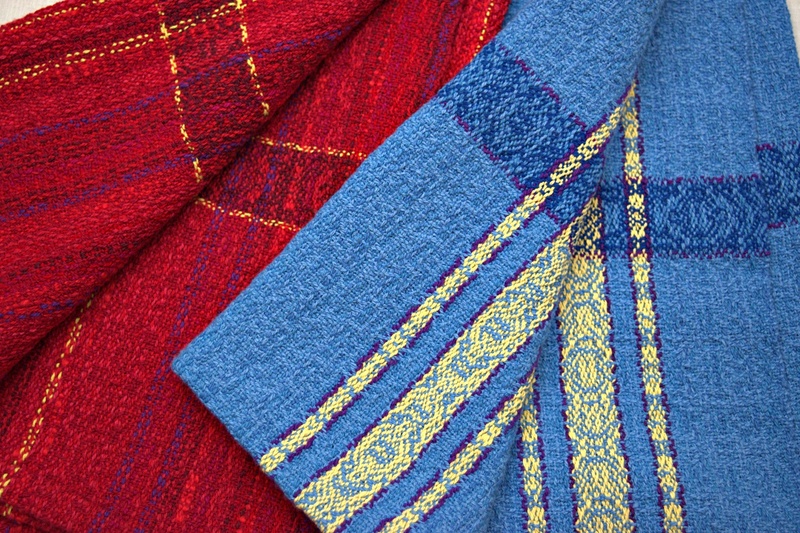 (see “A Boundweave Rug” p. 34 November/December 2010 Handwoven). This results in a reversible fabric. 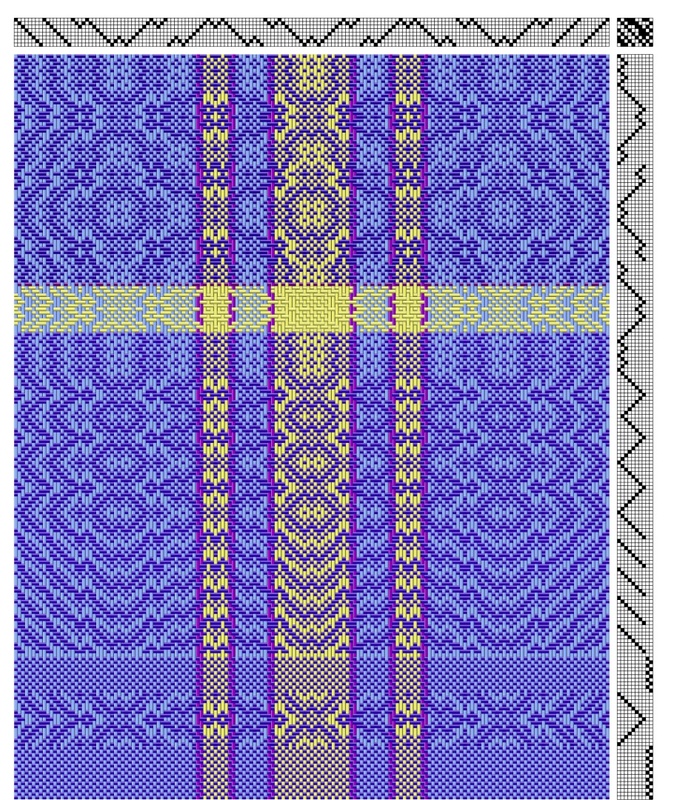 However, I chose the tie-up from “Rugs in the Scandinavian Way” in the May/June 1987 Handwoven Magazine for no other reason than I just wanted to see how it would work. Here, Phyllis Waggoner uses a boundweave tie-up that lifts three ends against one. With this set-up, the backside is definitely a backside. Her rug shows several design bands in varying colors, one of which was a distinctive flame motif. Sometime, that would be a fun rug to weave in its entirety, using the block treadling to produce a more reversible fabric, but for now, I needed to focus on that flame pattern and maybe a smaller diamond. Weaving progressed slowly, not just because boundweave is a slow weave, but because I was working with weft in one-yard lengths. Lots of loose ends! 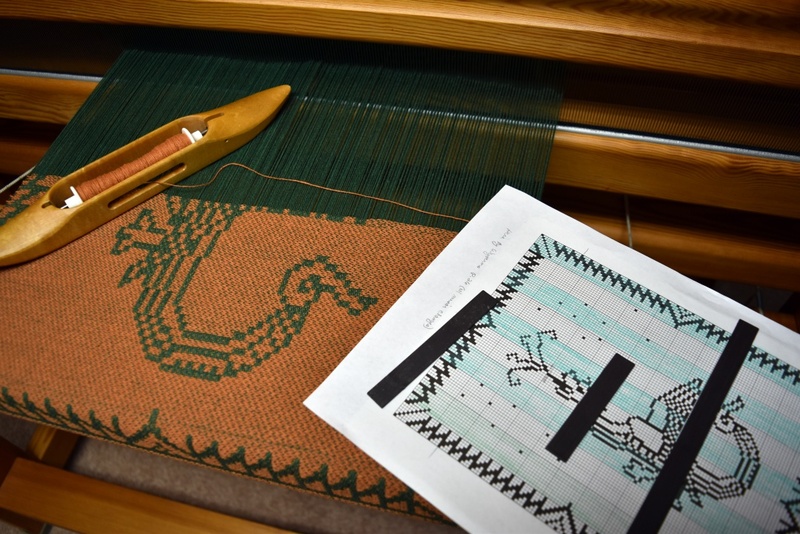 Every end had to be overlapped and tucked to the back of the web while weaving. 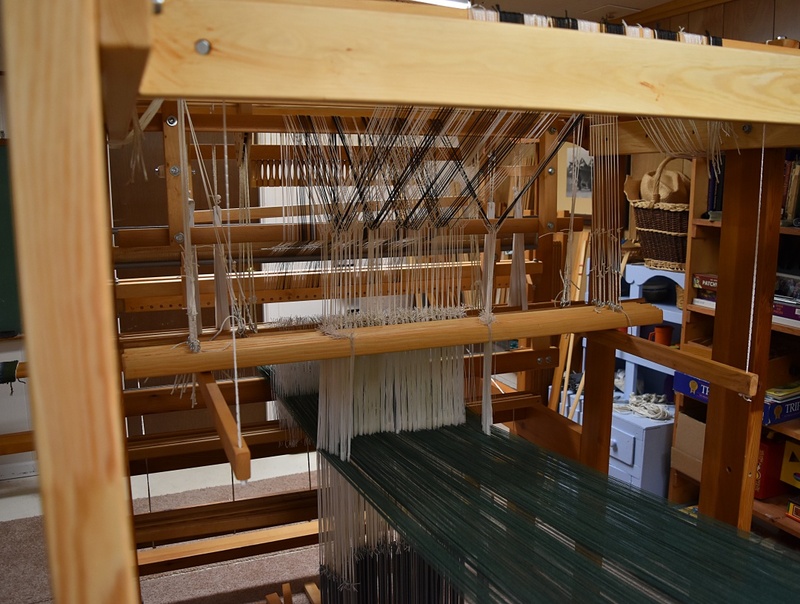 Here is where I made a decision based on expediency: because the back side would not be seen, indeed would be tied down to my loom bench, I decided not to worry about all those loose ends. 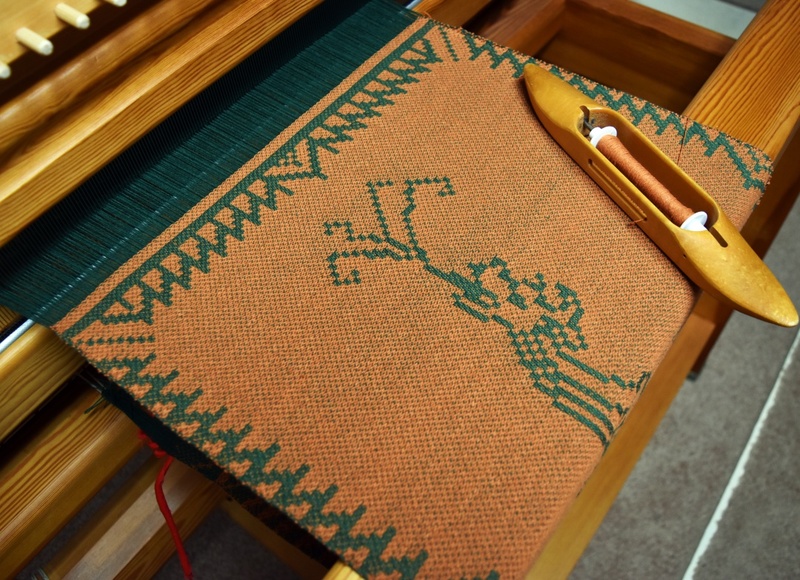 If this had been a piece on which both sides would be seen, I would have used a needle to weave those ends in after taking the piece off the loom. Because I didn’t know how long the flame motif would end up, after weaving the hem and header, I started the border just a couple inches in from the beginning. As it turned out, one repeat was going to be too short, and if I wove a second one, the pad wouldn’t fit on my bench. An added smaller diamond on one end resulted in a more useable length, even though it does bother my “symmetry” sensibilities a bit. This was definitely an exercise in problem-solving that resulted in something useful—which is what I wanted from my thrums. What challenges are you working on this week? Share your discoveries! What do you do when an ice storm looms (no pun intended)? Dire predictions preceded Winter Storm Jupiter, so named by the National Weather Service. Ice is nothing to fool around with, so we did what most everyone did this weekend—we stayed home. It was a perfect excuse to work on a wool blanket, something nice and warm. 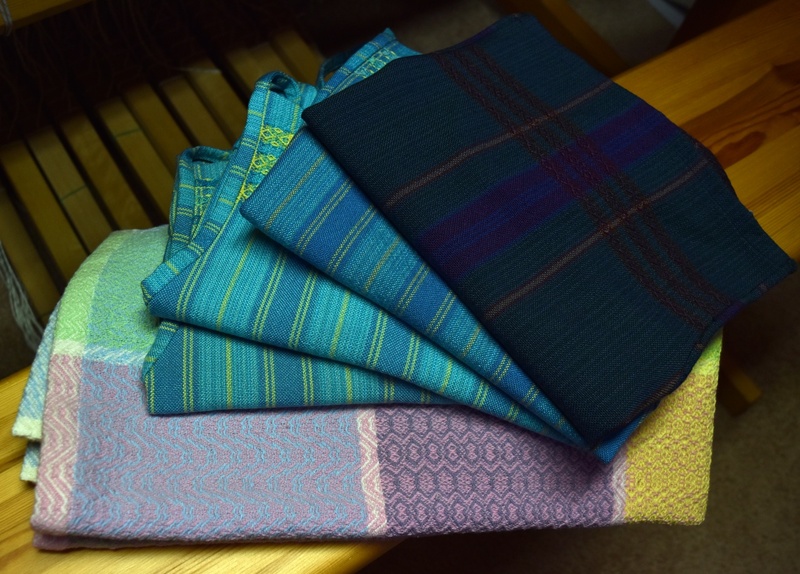 Before the holidays, I agreed to weave a full-size wool blanket for a customer who attends 1800’s era reenactments. This is a little out of my experience, so it required some research. Because the customer will be using this blanket outdoors, it has to be warm and sturdy. I chose Harrisville Highland Wool (900 yds. 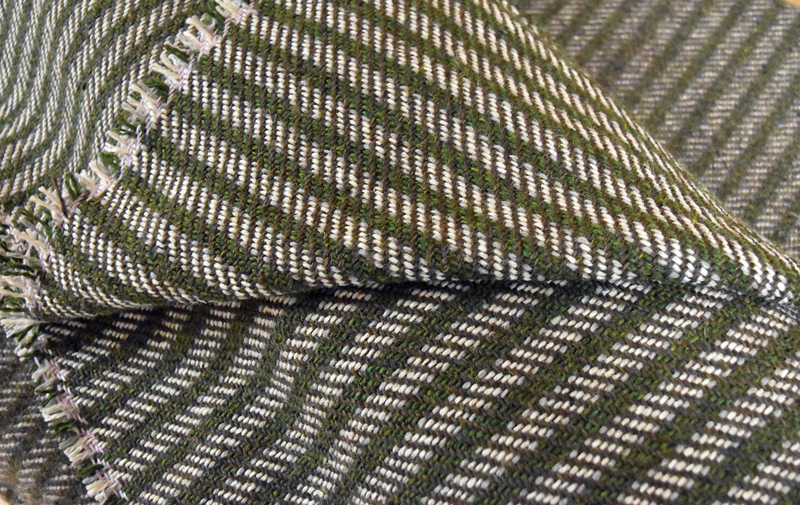 per pound) and straight twill for the weave structure. A 24” square sample helped me determine how long to soak and agitate it to get the desired finish. The size is wider than my looms, but weaving it double-width makes up for that. I had to watch the bottom layer to avoid skips and catches as well as a messy selvedge. And I weave cotton more than wool, so I had to brush up on how to treat this lovely yarn respectfully, to make it bloom into full potential. 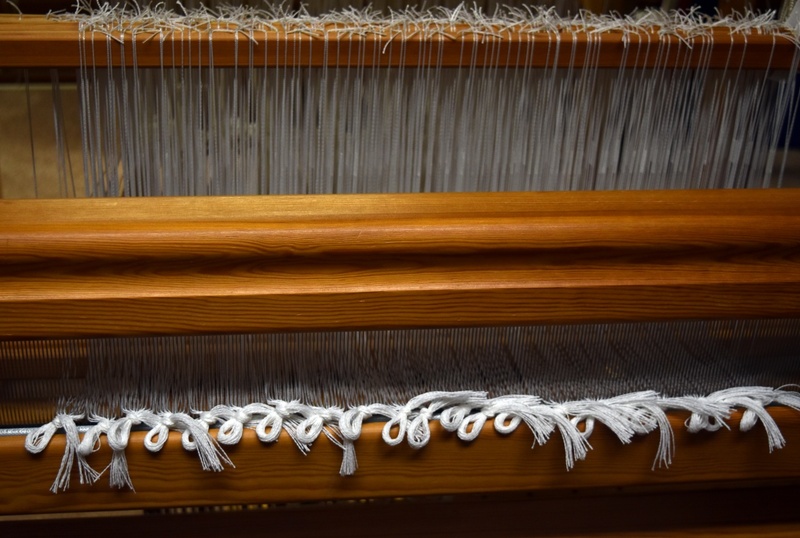 Wool twill blanket off the loom. Finished sample is in the upper right. 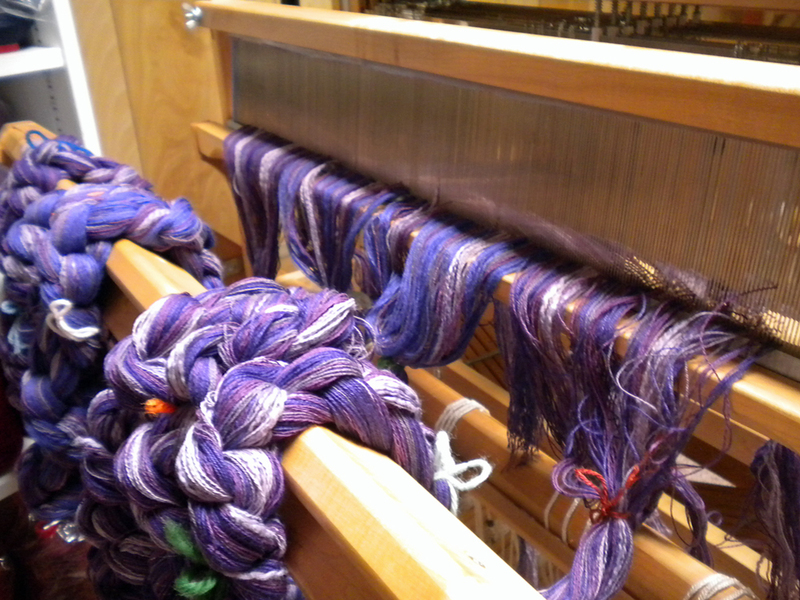 Yesterday I pulled the finished warp off the loom with a sense of accomplishment. I still have to hem it and make any necessary repairs before fulling the finished blanket, but it was a pleasant way to wait out an ice storm. 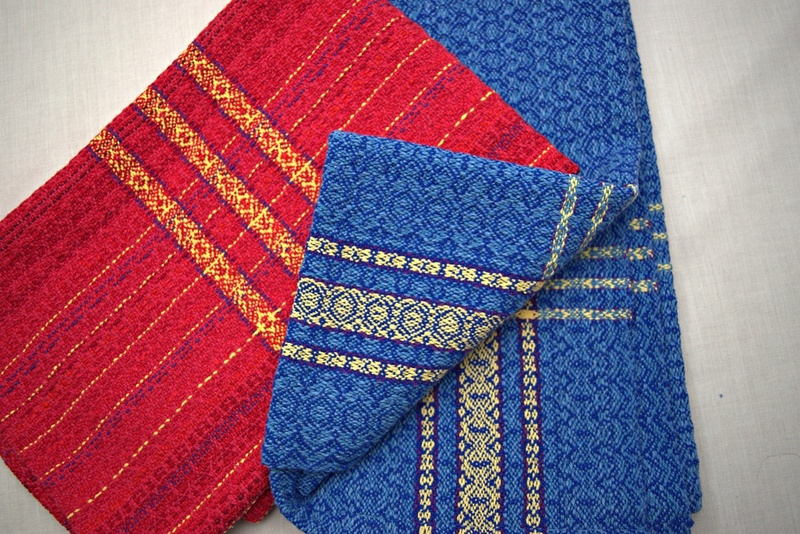 I have always enjoyed Sharon Alderman’s articles in Handwoven Magazine. She has a comfortable style of explaining things and even when discussing complex structures, she is easy to follow. 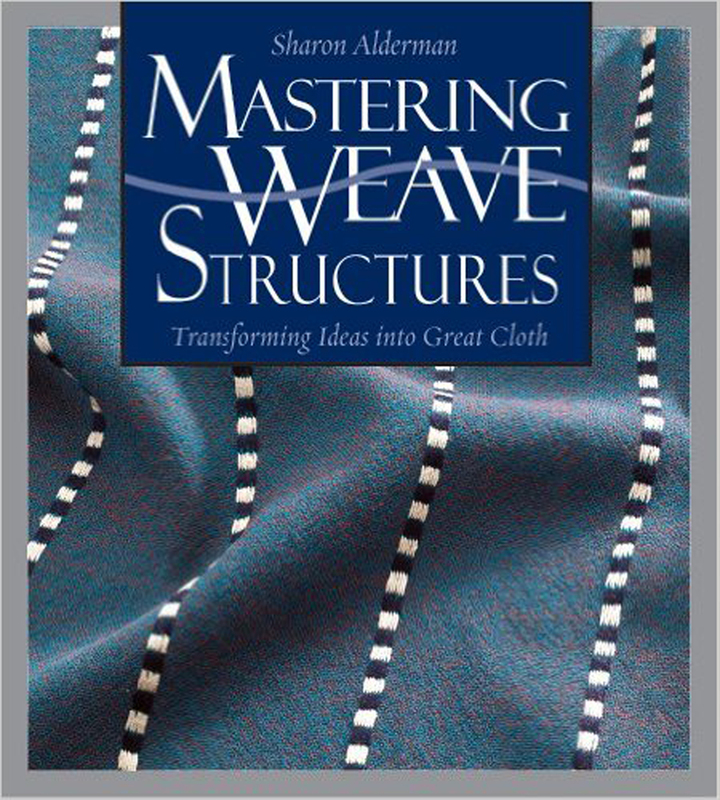 Recently I borrowed Mastering Weave Structures, by Sharon Alderman and published in 2004 by Interweave Press, and was quickly absorbed in the wealth of information she included. Sharon inspired me right from the get-go by her approach to plain weave. 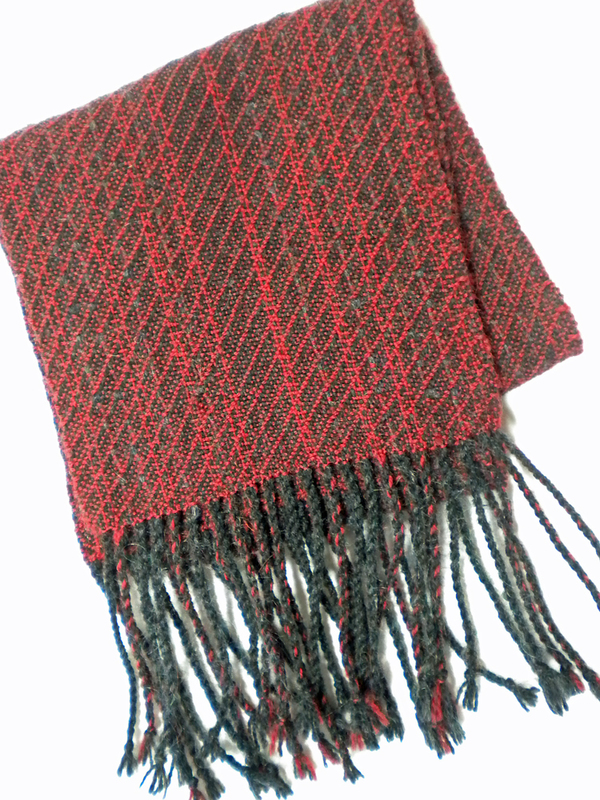 What can a weaver do with simple old plain weave to make an interesting fabric? What about grouping warp and/or weft ends? You can vary the denting. 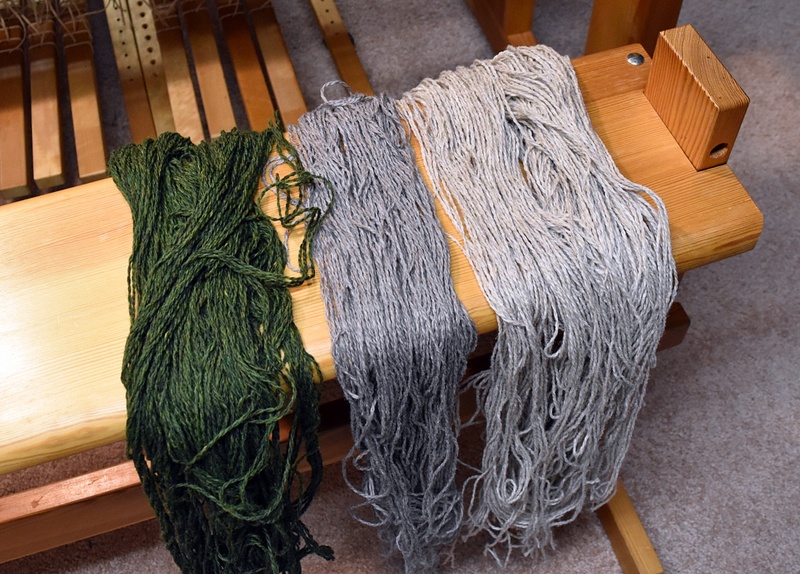 Vary the yarn sizes. Use mercerized with unmercerized cotton. Use different fibers in the same fabric. Use colors close in hue or value. Combine basket weave, a form of plain weave, with plain weave itself. 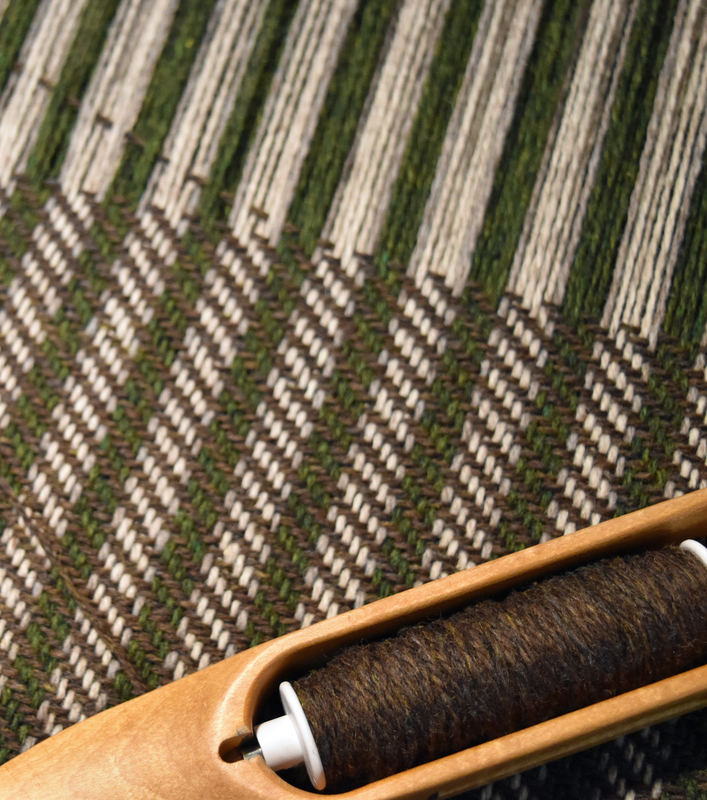 Use color and weave effects, including rep weaves. Sharon discusses how these choices and others affect the end fabric. 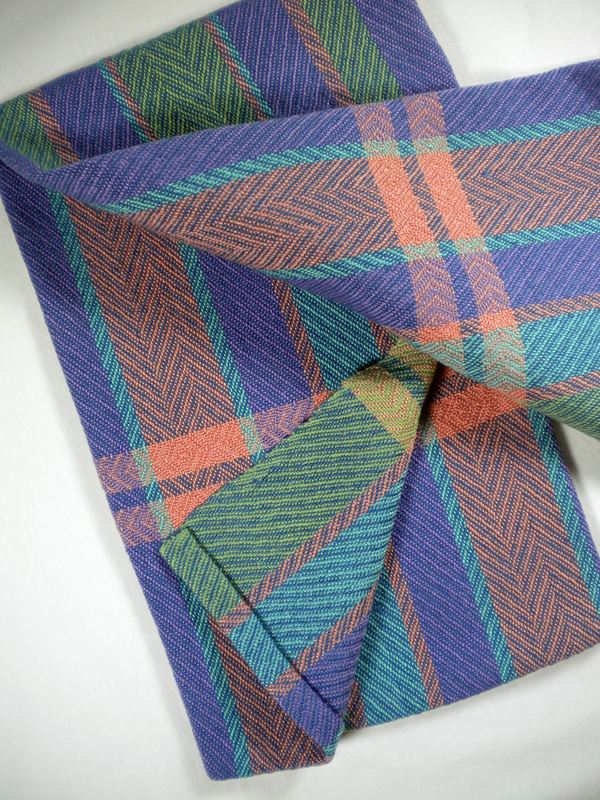 What makes a twill? 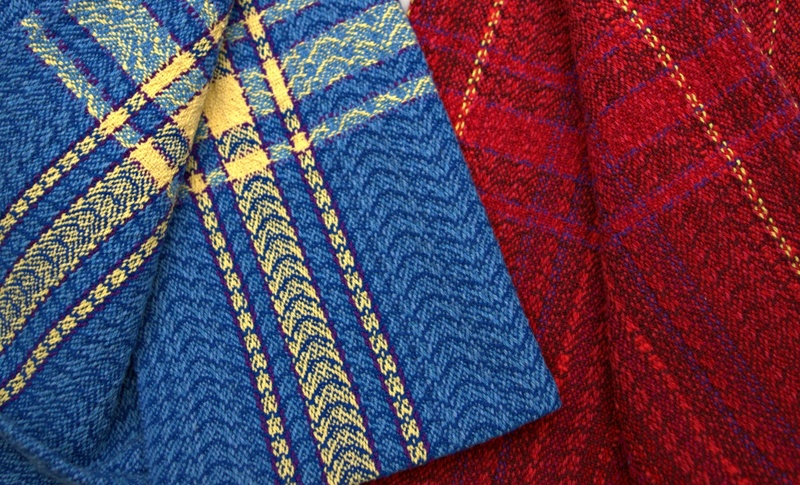 What is the difference between an even twill and uneven twill? 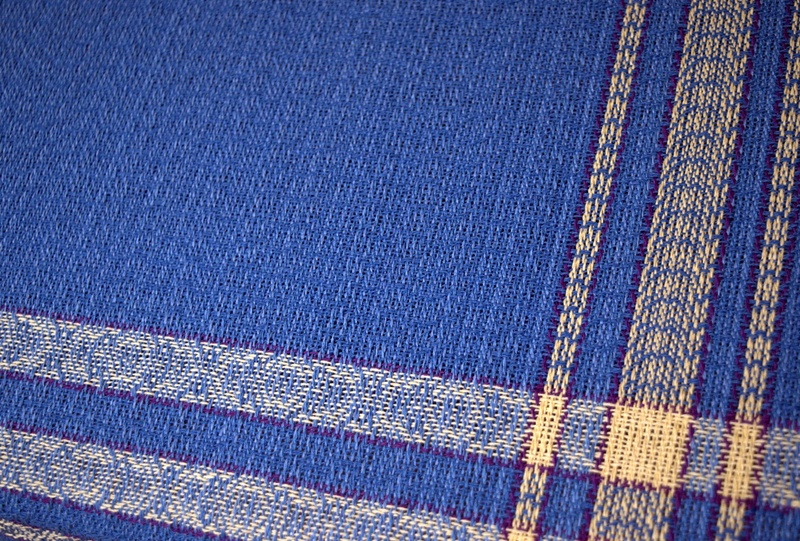 How do you make a twill more or less steep? What about sett? What if you weave the draft in a point, or combine different points, or advance the twill line? 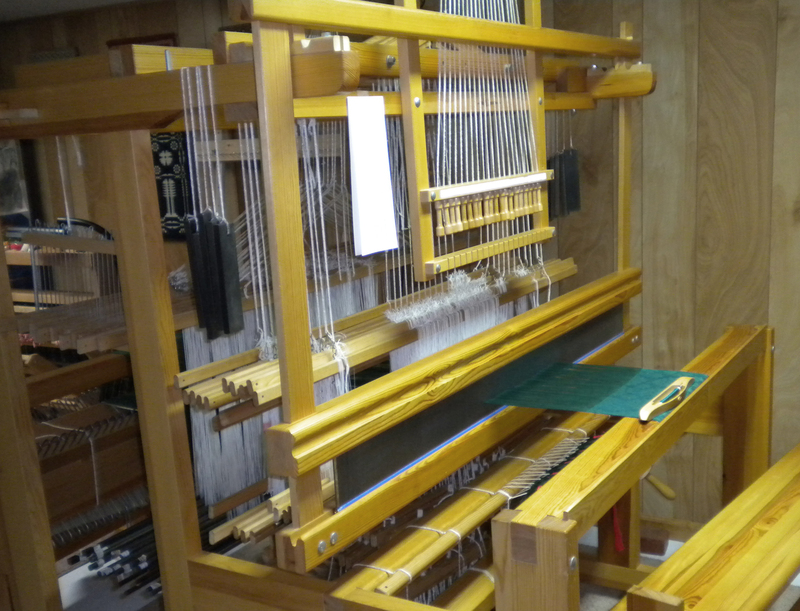 What happens if you weave one pick from one treadling sequence and the next pick from the second? 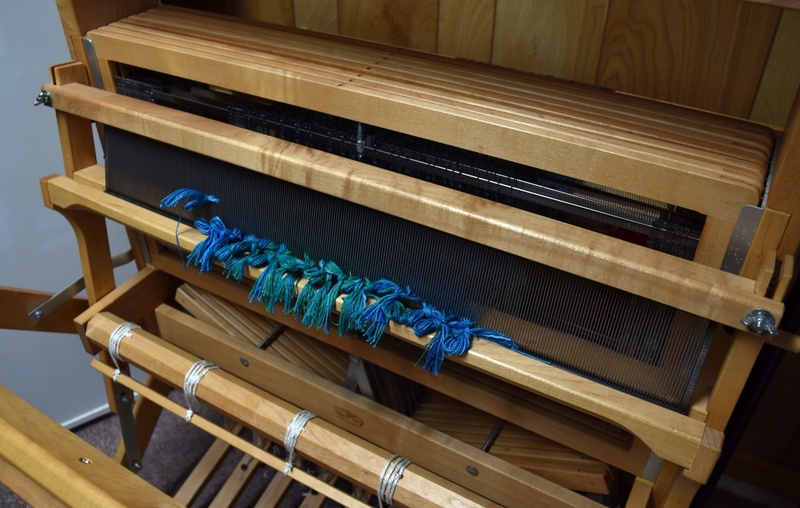 What if you rearrange the treadling order? She starts each structure with 4-shaft drafts and moves on to include drafts for 8 shafts, 16 shafts, and sometimes 24 shafts. She gives the advantages and disadvantages of different approaches. 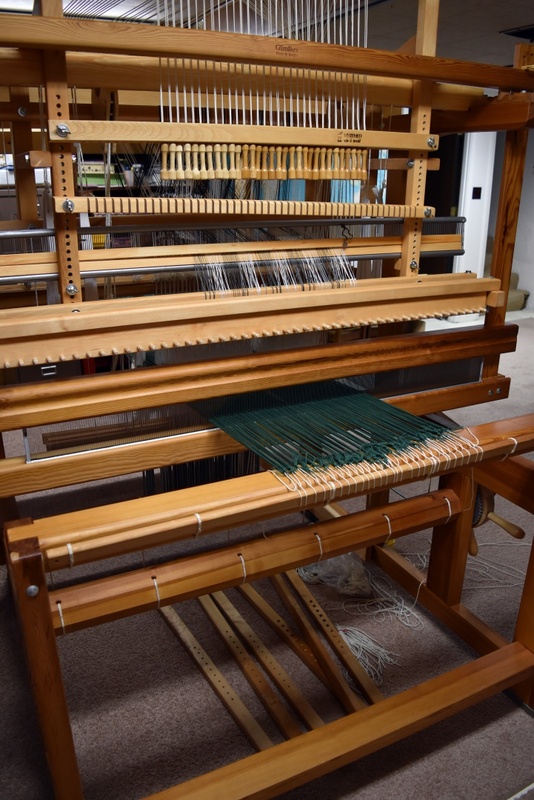 Several times, she points out that an uneven beat will produce crosswise striations in the finished cloth. And she strongly encourages weaving good sized samples, at least 12” x 12”, in order to see what the yarns will actually weave up as. I was particularly curious about her chapter “Inventing Your Own Weave Structures.” Here she presents three different approaches she uses to achieve the fabric in her head, working backwards to the draft and figuring out what she needs to put on the loom to get the result she wants. In one approach, she starts with paper and pencil, sketching the elements she wants in her cloth and their relative position. Another approach is to design from the tie-up: start with a basic tie-up and make changes to form the elements you want to include. Her third approach is to draw out the design on graph paper and then work out the threading, the treadling, and finally the tie-up. Anyone who is familiar with Sharon’s articles in Handwoven Magazine will recognize her easy style and practical approach to weaving. 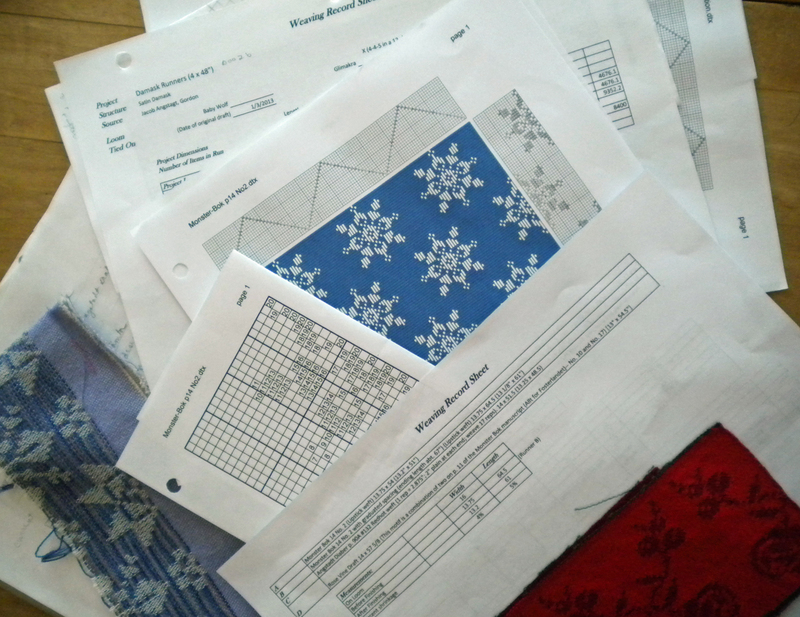 She includes drafts, diagrams and sumptuous photos of the resulting fabrics to illustrate the possibilities.